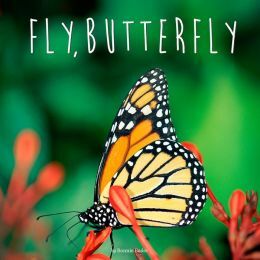 Beautiful real-life photography illustrates this well written non-fiction narrative book for first grade readers. It begins by explaining in lyrical language how a butterfly chooses a damp milkweed leaf on which to lay an egg. The various stages of a butterfly’s life are described and shown clearly. This book designed with the core curriculum in mind shows the migratory habits and path of the monarch butterfly. Differences between winter in the mid-continental United States and Mexico is used to explain the reason for the migration of the butterflies. Photographs showing them flying in huge cloud-like formations and covering ponds in search of a drink during their travels will amaze even the adults using the book. This book makes an excellent read aloud for a preschool teacher or any librarian. The glossy finish on the paper makes the fantastic photography stand out. 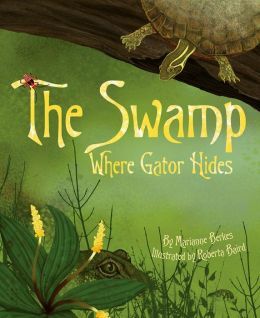 This book introduces young readers to swamp ecosystems and the critters that inhabit them, the role of camouflage, and predator-prey relationships. Back pages offer teachers and parents additional information on each animal featured, which can be used to foster discussion and/or lesson plans. “Tips from the Author” includes curriculum-related literary activities on rhyming, sequencing, and poetry, while “Tips from the Illustrator” provides a peek at Baird’s process into creating beautiful digital illustrations. More classroom resources can be found on the publishers website: www.dawnpub.com.